I knew right away I wanted to use French Country and whenever I think of that style, blue and yellow come immediately to mind. I started off by stamping the background and then punching out the window with a Label 25 die. 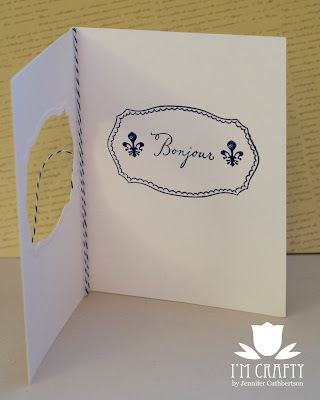 I traced the opening so I knew where to stamp on the inside and then stamped the label and the sentiment with the fleur de lys on the interior using navy ink. I finished the card with some stickles and a bit of twine. Thanks for visiting and I sure hope you have a chance to play along! If you don't yet own any Waltzingmouse Stamps, there are a lot of freebies in the store that you can play along with. Remember, one random (and lucky!) participant will win the stamp set of their choice and three will be crowned Top Mouse! Hello friends! 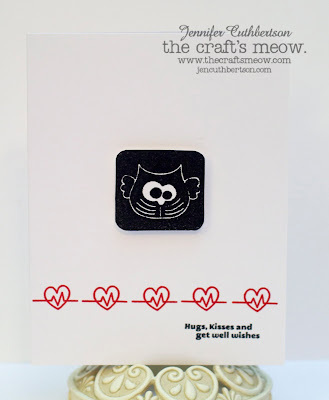 Today I have a card I made for the March sketch challenge at The Craft's Meow! Check out this gorgeous sketch from Nina - I started with a base of some patterned papers that I stamped with the postmark images from the Telegram set! 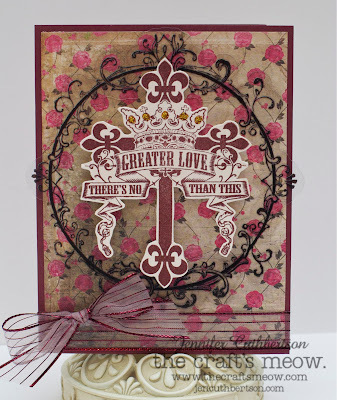 I added a coordinating sticker (Carte Postale), a strip of glitter ribbon and a fleur de lys transparency. If you haven't had a chance to play along, I encourage you to do so! You still have until the 31st at 9pm Pacific to link up! You don't have to use TCM stamps on your creation to enter the challenge and be eligible to win a TCM stamp set of your choice! Woo Hoo!! But, if you do use TCM stamps and you're the winner, you will win the set of your choice and a coupon for 15% off another stamp set of your choice! 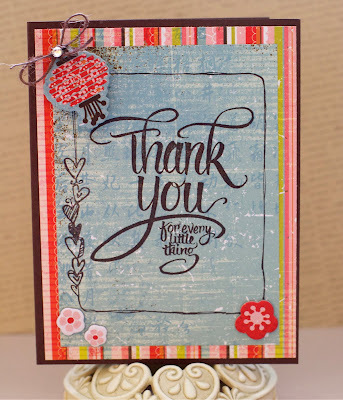 Hello friends, today I am honored to be the Tuesday With the Team feature on the Rubbernecker Stamps blog! Each day there is so much wonderful inspiration, I encourage you to check it out! 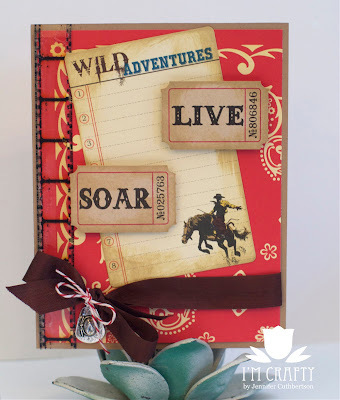 Today I have a card to share with you that has one of Rubbernecker's newest stamps - Journal Hearts (604-01)! I am in love with this stamp - think of all of the cute borders you can make! I started off with my new Konnichiwa papers I've been positively dying to use since they arrived a couple of weeks ago. 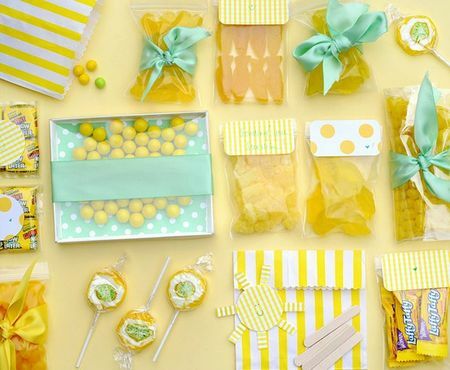 What perfect colors for spring! I stamped the Journal Hearts onto one of the papers and then stamped the Every Little Thing (122 SO) sentiment inside in chocolate ink to match the stripe in the background paper. I finished the card with some cardstock stickers from the collection and tied the little lantern with some twine and a rhinestone. I started with a base of medium kraft cardstock and used some patterned paper and a journaling card from the Sasparilla collection from October afternoon. I just love that bandana print! I added some Adage Tickets, some film strip ribbon, and a seam binding bow and finished the card with a little cowboy hat charm tied with some baker's twine. Link up by Sunday for a chance to be chosen one of our Top Three and one lucky participant will be entered in a drawing for a Kraft Outlet gift certificate! Fun! Hello friends! 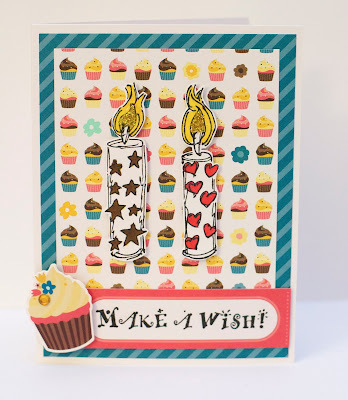 Wow, it has been forever and a day since I've had a chance to play along with Papertrey Ink's monthly blog hop! If you just happened by, head over to Nichole's blog to see all of the wonderful inspiration! This month is a color "challenge" and how fun are these lovely aquas and yellows? 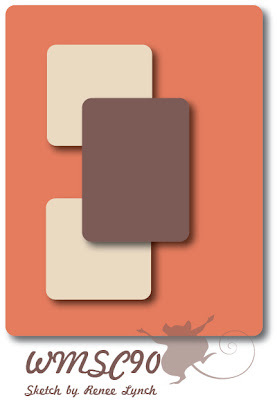 I'm also going to enter this card in the Moxie Fab World's Fascination with Feathers challenge! I just received the Rosie Posie set from my friend, Wendy, and have been dying to get them inky! 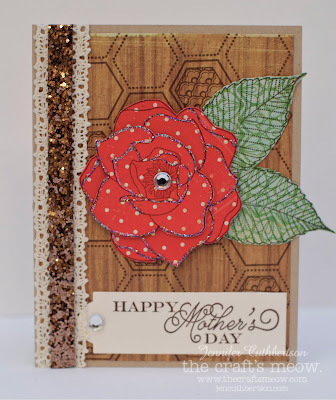 I've stamped a few roses for another project that you'll see here on the blog shortly but I focused on that incredible honeycomb background this time! 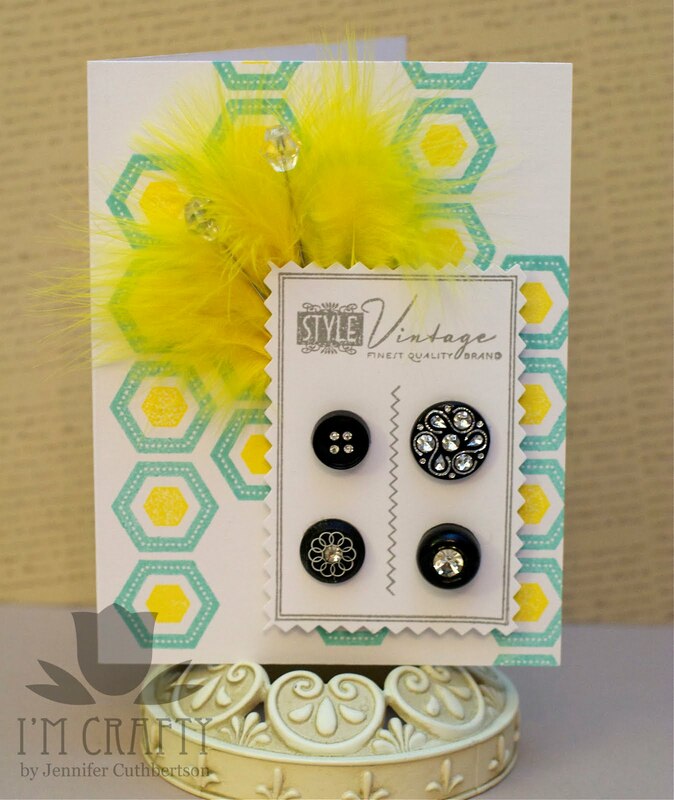 I stamped the background in yellow and Aqua Mist and then made a button card using Button Boutique and my pinking scissors. 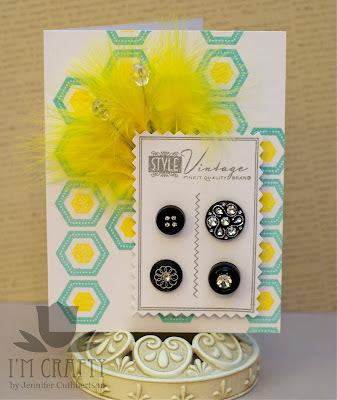 I added some feathers and a couple of stick pins for some pizzazz and then finished the card with four vintage buttons. I hope you enjoyed my take on the theme this month and I hope to see you back here again next month! I took some liberties with the sketch in order to use my new stamps - how amazing are they?! I stamped the harlequin background from Heirloom Patterns in grey over white cardstock and mounted the panel on a dark gray card base. 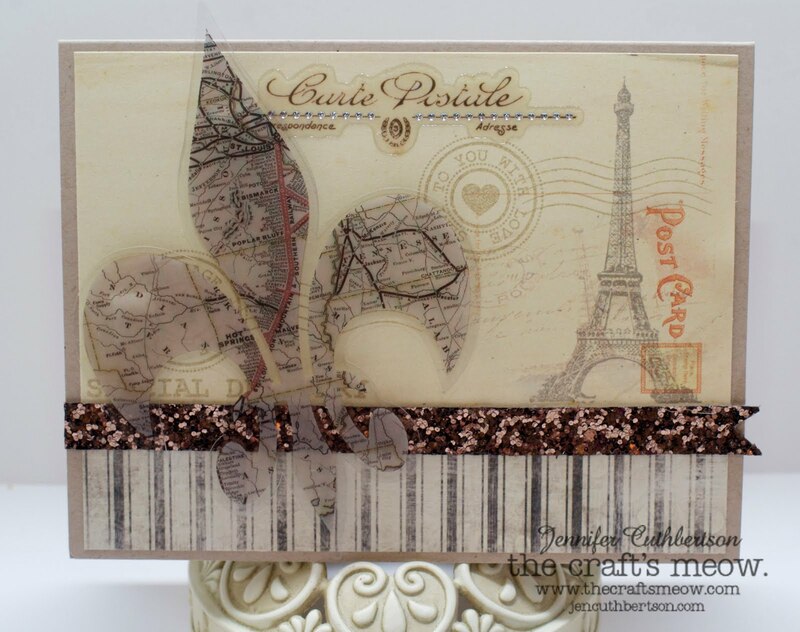 I stamped the large label from Paris Nouveau in pink and the Eiffel Tower image from the same set and then cut them out and adhered them to the card. 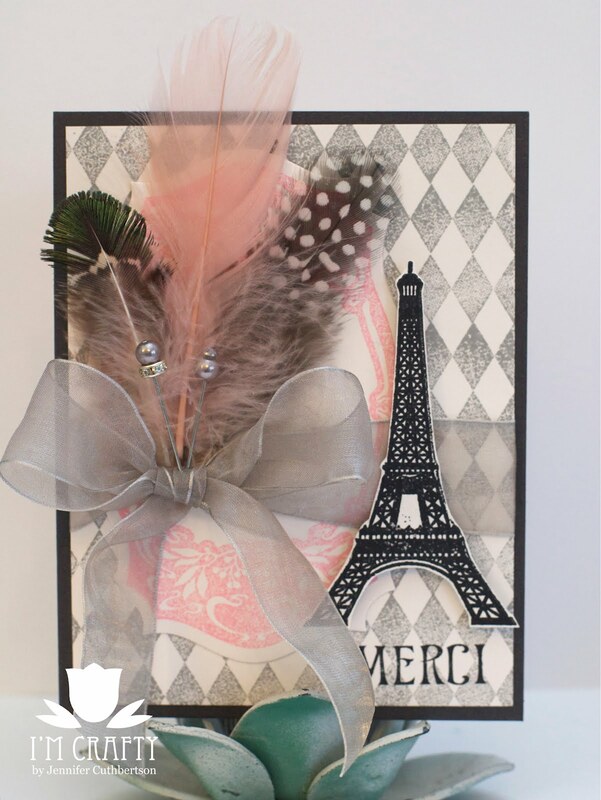 I finished the card with a "Merci" sentiment and some feathers which were inspired by the Fascination with Feathers challenge at Moxie Fab World! Fun! Play along with us this week for a chance to be chosen Top Mouse! And, one random participant will be chosen to win the stamp set of their choice! Thanks for visiting! Hello friends! 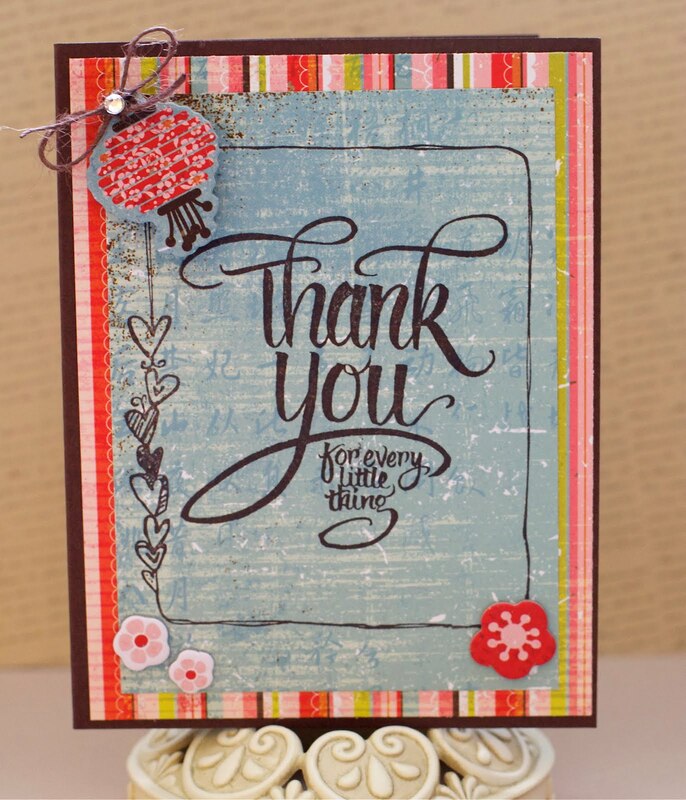 Today is our Rubbernecker Stamps Mother's Day blog hop and I'm so glad you've joined us! If you've arrived from Jen's blog, you're in the right spot. 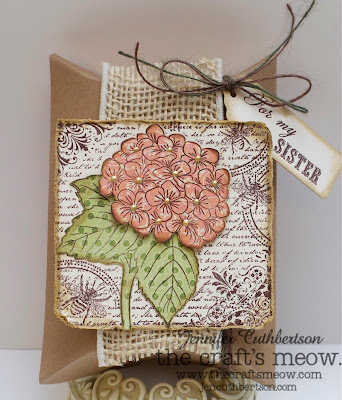 If not, please head over to the Stampin' Sisterhood blog to get started! 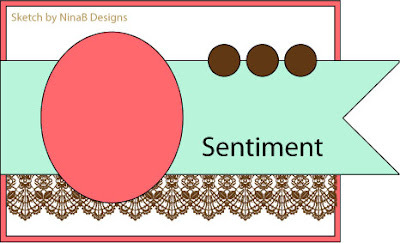 I based my card on this week's Simple Elegance Tuesday Trigger at Moxie Fab World! I adore those colors!! 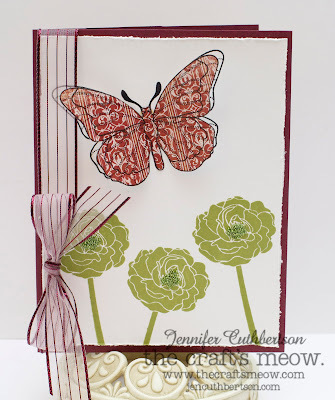 I am in love with the Lace Background stamp and used white craft ink to stamp it on a panel of kraft cardstock. Don't you think it looks a bit like the carpet in the photo? I stamped the Flowers with Dragonfly stamp onto some white cardstock and then colored it with copics to give it that touch of blush from the photo. 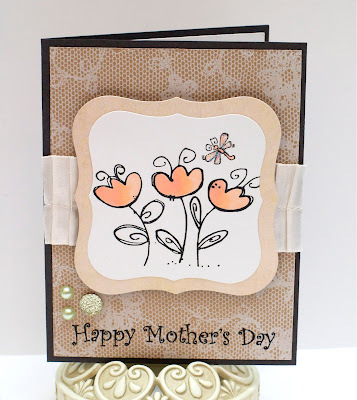 I finished the card with some gorgeous trim, some Stickles, and the Mother's Day sentiment. We've changed things up a bit and this month we have a little game for you! Look for words some of us have chosen to describe our mothers - my word is brave! Report back to the Stampin' Sisterhood blog with all the words you have found and you'll have a chance to win the stamp set of your choice! What a great prize! And, for an extra entry, share our hop on your Facebook page or blog! Now head over to Joan's blog for some more wonderful inspiration! Hello friends! 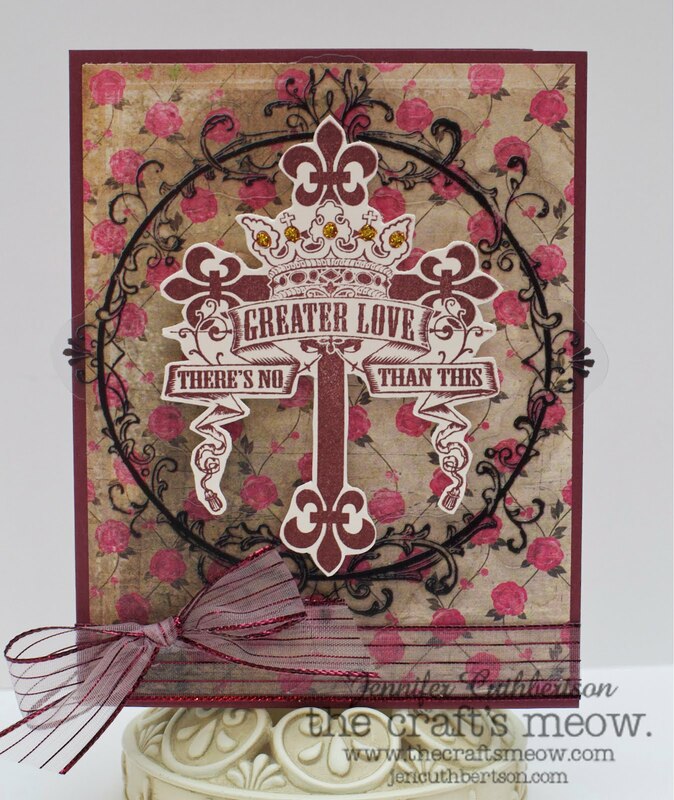 Today I have a card I made with the "No Greater Love" set that was released earlier this month at The Craft's Meow! I adore this image and think it is perfect for Easter cards! I started with a base of patterned paper and a transparency from the Pretty in Pink line, stamped the cross image in burgundy ink, fussy cut it, and then adhered it atop the transparency. I finished the card with some sheer ribbon. Here's a view of the inside. And, now for the big winner of the TCM stamp set of choice...Cara was lucky #14 according to Random.org! I've sent her an email and will soon be sending her the stamp set of her choice! Thanks to everyone for their comments and for playing along! :) Have a wonderful day! Hello friends! Today is the big day - where all six new sets are revealed at The Craft's Meow!! I am so excited about this release and just know you will love what you see! If you've arrived from Jean's blog, you're in the right spot. If not, I've included the hop list at the bottom of this post so you can start from the beginning! Oh, if you haven't already, head over to my DT announcement post and leave a comment for a chance to win your choice of sets from The Craft's Meow! Deadline is midnight tonight and I'll post the winner here on the blog tomorrow! 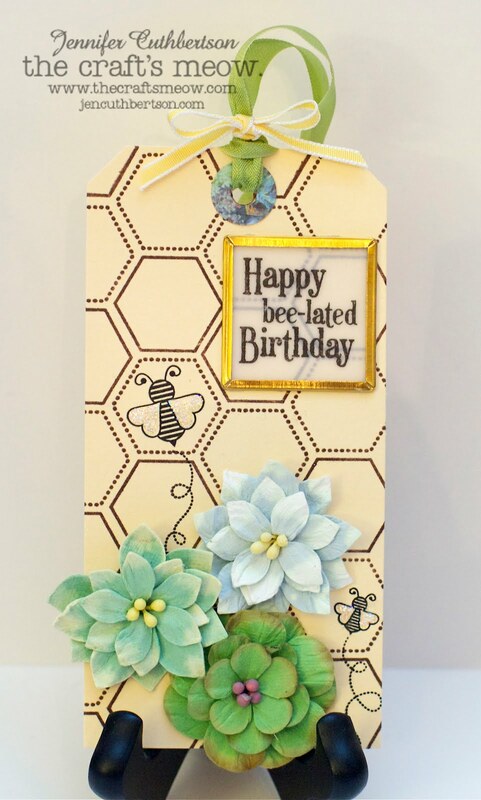 I used three new sets for this card today starting off with that wonderful honeycomb from "Thanks Bee to Thee" which I stamped onto a woodgrain patterned paper. I stamped that gorgeous rose from "Beautiful Spring" twice onto some red polkadot paper twice, cutting out the center of one rose and then attaching it to the larger rose for some dimension. I stamped the leaf image twice and cut them out and layered them all onto the card. I finished the rose with a rhinestone center and with some Stickles. I stamped the sentiment from "Mother and Father" onto a tag and attached it to the bottom of the card. I finished the card with some crochet trim and some glitter ribbon. 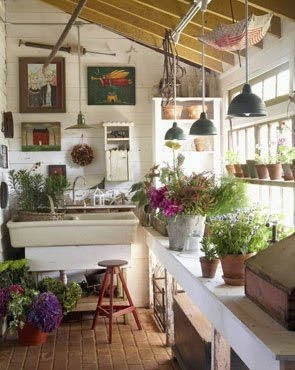 Now head off to Jenny's blog for some more wonderful inspiration! Thanks for visiting! The Craft's Meow - Preview Day Four! Hello friends! Today is the final day of set previews for the big birthday bash over at The Craft's Meow and we've got a fun set to share with you designed by Nina Brackett called "Thanks Bee to Thee"! Now there's something special about this set that I'm sure you want to know - it is a gift with any $50+ purchase! Wowza! There are so many wonderful images and sentiments in this set, you're sure to use it a lot! I know I will! I started off with a large shipping tag that I stamped with the large honeycomb image and then stamped two little bees and their cute little buzz trails! I added some Stickles for their wings and then finished the tag with some fun ribbon and three gorgeous flowers! As I've mentioned all week, because this is a birthday celebration, there are lots of fun and prizes to be had! Today we've got a challenge based on the photo below. Head to the blog for all of the details! Oh, if you haven't already, head over to my DT announcement post and leave a comment for a chance to win you choice of sets from The Craft's Meow! I'll announce the winner this Thursday! The Craft's Meow - Preview Day Three! Hello friends! 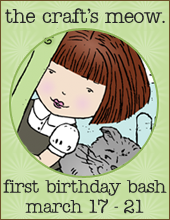 Welcome to day three of previews for the March, First Birthday release from The Craft's Meow! 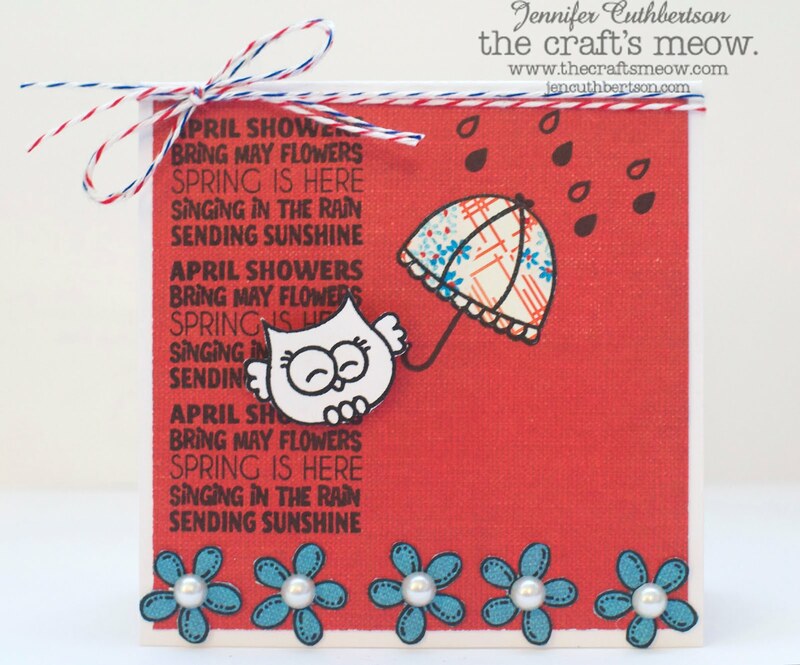 Today we're showcasing "Get Well Soon" and "Spring is Here", two adorable sets designed by Jenny Suchin! 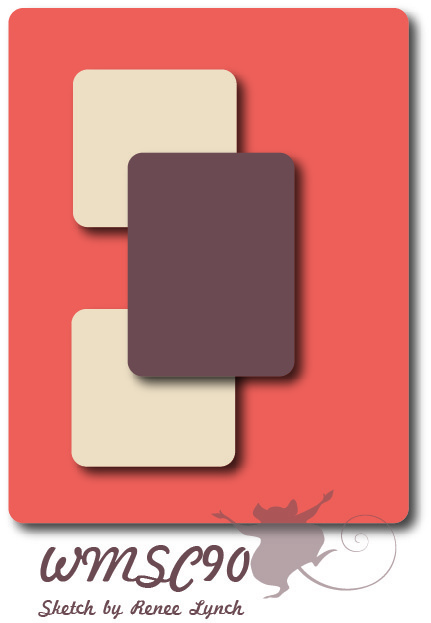 I kept this first card clean and simple using probably my favorite image from the "Get Well Soon" set, the little owl x-ray! Isn't it cute?! I stamped it on white cardstock using embossing ink and then embossed it with black embossing powder. I cut it out and adhered it to the card using foam squares. I then stamped the little heart as a border across the front of the card in red and then stamped the sentiment. This set has such wonderful images for get well cards! For my "Spring is Here" card, I stamped and cut out the little owl and then pieced the little umbrella, stamped some raindrops and then stamped the text square three times down the side of the red paper. I stamped and pieced the little flowers, added some pearls for the centers, and finished the card with a couple strands of baker's twine. 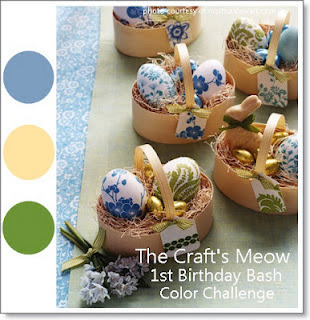 If you're new to my blog, this is The Craft's Meow's first birthday celebration week and each day there will be challenges and prizes! Today's color challenge is from the photo below. Head over to the blog for all of the details! Oh, if you haven't already, head over to my DT announcement post and leave a comment for a chance to win you choice of sets from The Craft's Meow! I will be announcing a winner on the 22nd! Hello friends! 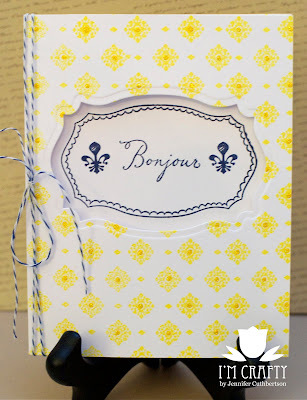 Today is the begining of "anything goes" challenge week at The Kraft Journal and I took that theme to Paris! 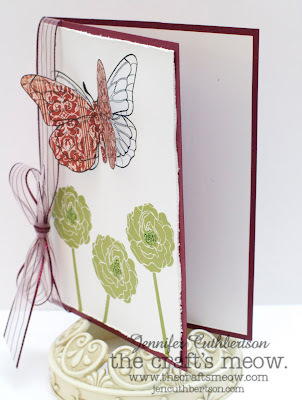 I started with a base of light kraft cardstock and layered some gorgeous new French Kiss papers on top. 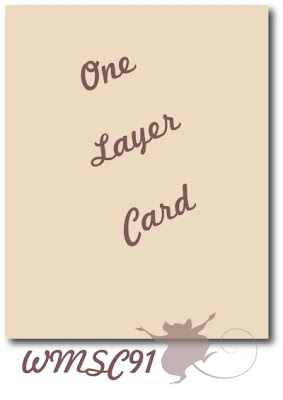 I used some black photo corners and tied some brown burlap string around the small panel before adhering it to the card. I used a sticker on a small kraft shipping tag that I edged with some dye ink and tied with some gorgeous brown seam binding. 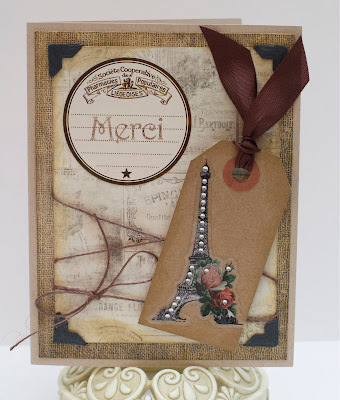 Finally, I stamped an apothecary sticker with a "merci" sentiment and attached it to the card. Don't forget to link up by Sunday for a chance to be one of our Top Three! One lucky participant in March will receive a voucher to the Kraft Outlet! 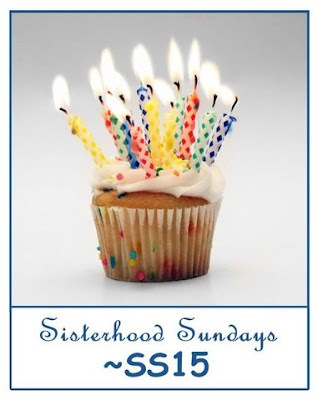 Head over to our Stampin' Sisterhood blog for more details! Thanks for visiting! The Craft's Meow - Preview Day Two! Hello friends! Welcome to day two of previews for the March, First Birthday release from The Craft's Meow! Today we're showcasing "Cherished", another gorgeous set designed by Nina Brackett! I stamped the large stamp from the set onto a piece of white cardstock using brown ink and then stamped the hydrangea image twice, once in pink to get the flowers and once in green to get the leaves and stem. I pieced the flower together over the background and popped up the flowers a bit for some dimension and added some liquid pearls to the flower centers. I decided I loved this image as a label for a little gift box so I attached it to some burlap ribbon which I attached to a medium pillow box. I then stamped a couple of the word stamps (perfect for building gift tags!) onto a tag and tied it to the box using a couple of strands of burlap string. 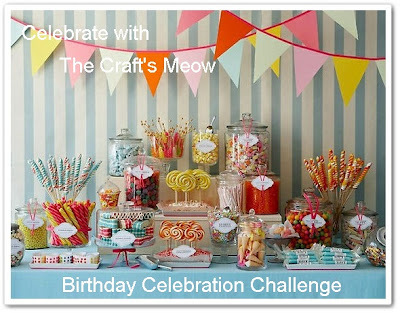 Just in case you haven't heard, this is The Craft's Meow's first birthday celebration week and each day there will be challenges and prizes! Today's inspiration challenge is the photo below. Head over to the blog for all of the details! Thanks for stopping by again today and I'll see you tomorrow with some more previews! Oh, if you haven't already, head over to my DT announdement post and leave a comment for a chance to win you choice of sets from The Craft's Meow! The Craft's Meow - Preview Day One! Hello friends! It has long been a dream of mine to be on a design team where I can showcase new releases and I am thrilled to be a new designer for The Craft's Meow!! March is such a special time to TCM because it is their first birthday and along with three new designers, there are two guest designers this month, Amy Kolling and Deborah Nolan! I'm so happy to be crafting along side all of you! Without further ado, here are my samples using two new wonderful sets designed by Nina Brackett! "Beautiful Spring" is a set chock full of wonderful spring images from florals to butterflies with both outline and silhouette stamps! I stamped one of the silhouette florals from the set in green ink at the bottom of the white panel and then stamped the large outline butterfly onto some patterned paper and then again on the white panel. As you can see in the photo below, I folded the wings upward so you could see the outline underneath. I love the look that technique gives! I finished the card with some green micro beads for the flower centers and some sheer burgundy ribbon that complimented the patterned paper and card base. 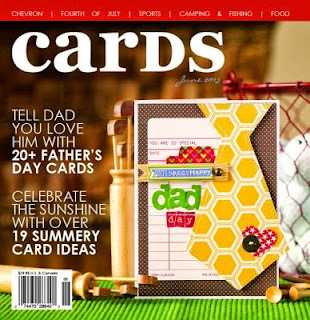 This next card features the "Mother and Father" set, also designed by Nina Brackett! 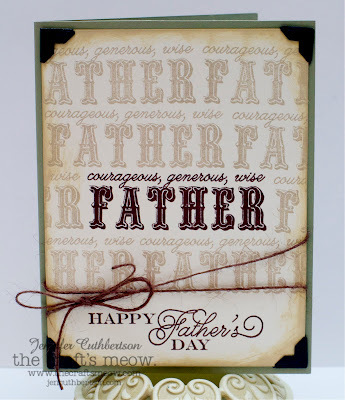 I chose to make a Father's Day card and stamped the father image once in the center of a cream panel using dark brown ink and then again multiple times using a lighter brown ink. I love how the sentiment pops! Well, I hope you enjoyed these previews today - I had such a fun time using these stamps! 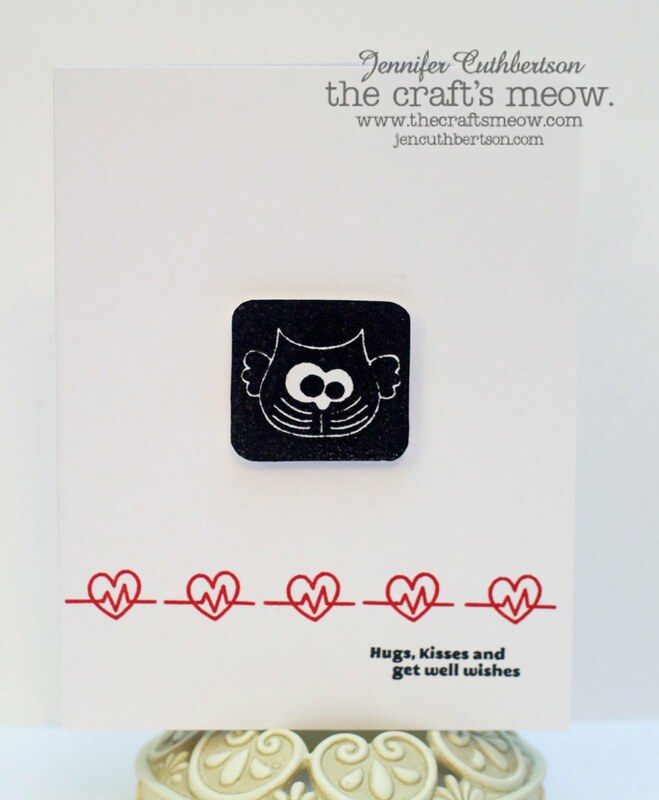 Before I let you go, I wanted to tell you that there will be giveaways on The Craft's Meow blog and birthday challenges to play along with each day of the birthday festivities! Head over to the blog for all of the details! To whet your appetite, the challenge today is a sketch challenge with this beauty by Amy - Thanks so much for stopping by today and I'll see you tomorrow with more new goodies! Oh, if you haven't already, head over to my DT announdement post and leave a comment for a chance to win you choice of sets from The Craft's Meow!